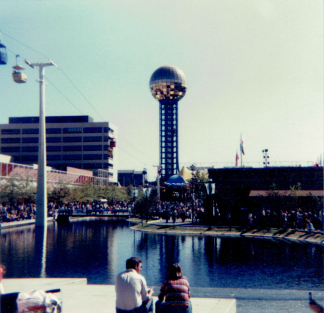 I’m going to count the roadtrip to the 1982 World’s Fair in Knoxville to fill in the state of Tennessee on my map. We lived right over the mountain from Tennessee, so we have been there many times. I think this trip was pretty cool. After looking through our pictures from this trip, and knowing everyone’s personalities… I’m surprised we didn’t kill each other. This trip included my parents, my aunt, uncle, and their two kids, and me. 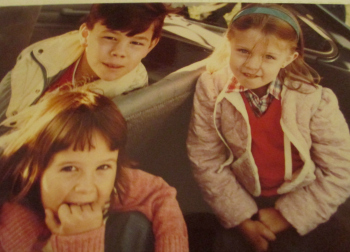 We all rode in a small two-door hatchback, and my cousin and I sat in the wayyy back- where they put the groceries. It was a three hour each way death-trap! This picture is right before we left, and we are definitely in the hatchback part. I’m on the right. I’m almost positive we did this trip in one day. I can see my dad driving the entire way. Yay!! We made it to the World’s Fair!! 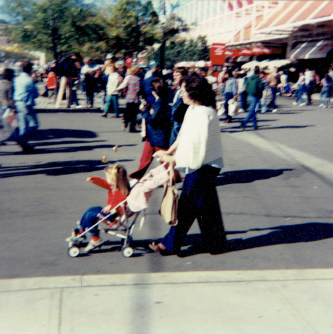 A picture of mom and me in Tennessee…check this state off the list. The headband I was wearing had the wires going up, and at the end was the gold glittered hearts. Glittered. Everything I was around must have been glittered with those bouncing around on top of my head. Looks like my cousin was having the time of her life, and I am having difficulty with my eyes. I’m guessing this was taken prior to the infirmary. 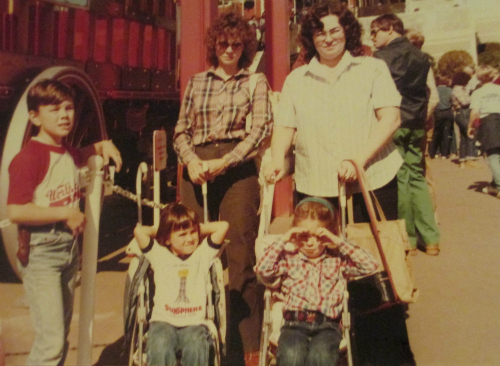 Also, I think my cousins used to always have the knife/gun holster attached- see my older cousin above. 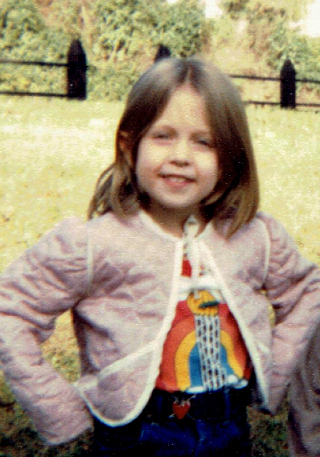 I guess I was pretty miserable at the time, but the nurse helped me out. She gave me a pin that was a pickle for being so good while she fished out the lashes. Here is my World’s Fair souvenir shirt with my pickle pin attached. I’m not sure why I would pin it in the middle of my shirt.